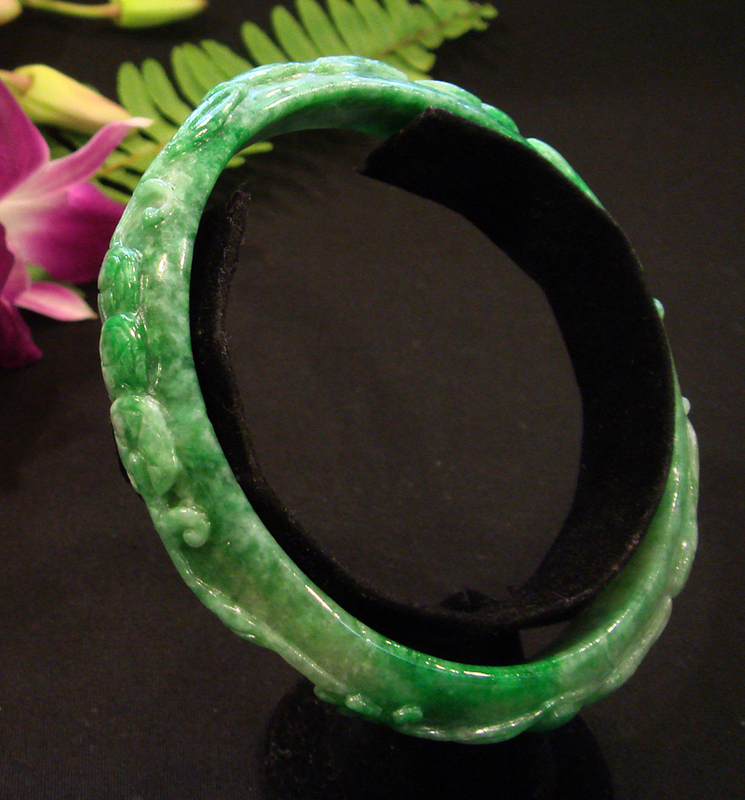 This bangle is carved with images of bat, lotus and flowers. The bat signifies good luck; its name is pronounced the same as good luck -- "Fu" -- in Chinese. The lotus represents prosperity, the flowers mean harmony. This piece was hand-carved in China. Weight 48 grams.